Tufdek TX-60 waterproof outdoor decking is used in a combination of unique PVC waterproofing solutions designed for uncommon building envelope issues. On its own, Tufdek TX-60 vinyl decking is an excellent roofing product and can also be used as an anti fracture membrane under concrete (or tile) for areas requiring extra waterproof performance. Tufdek TX-60 vinyl can also be combined with any one of the Tufdek™ walkable top sheets to create the industry’s most distinctive and long-lasting, walkable two-ply roof solution. This Tufdek White TX-60 waterproof vinyl flooring also features Cool Step floor protection, a product that is solar reflective and highly emissive so that less heat is transferred into your deck structure. Cool Step technology helps to keep your deck cooler even in direct sunlight! Tufdek TX-60 vinyl is designed for use on flat or low slope roof areas such as suspended slab concrete decks and walkways. It can also be used for traffic bearing roof decks over habitable living spaces, underneath tile, and with exterior light weight concrete. Tufdek TX-60 2-Ply is a lightweight solution to waterproof areas originally designed as inverted roof systems. Tufdek TX-60 vinyl decking has been assembled to exacting quality control standards by one of North America’s leading PVC roofing membrane manufacturers. This process is continually monitored and audited by Intertek ensuring the highest in vinyl product quality and standards. Tufdek TX-60 Single-Ply Vinyl – 10-year limited warranty available. Tufdek TX-60 2-Ply Vinyl – 20-year limited warranty available. After TX-60 vinyl decking is installed by a Tufdek™ dealer you'll have long-term enjoyment on your waterproof deck or rooftop living space. This Tufdek outdoor waterproof flooring product provides a surface that resists scratches and scuffs, avoids fading, and will look terrific for the life of your deck. If you are interested in waterproofing a new deck or rooftop area, or making a renovated deck or patio watertight, installing Tufdek TX-60 vinyl decking is an excellent choice. For more information about our Tufdek TX-60 vinyl deck flooring or about any other Tufdek™ waterproof vinyl deck products, feel free to send us an email or call our Tufdek outdoor decking experts toll free at 1-877-860-9333. 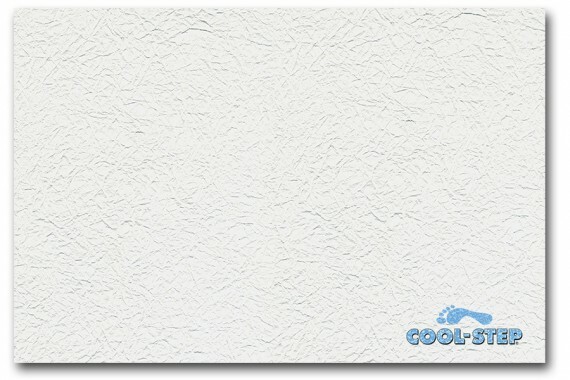 Tufdek™ White TX-60 Vinyl Flooring is only available through “Authorized Dealers”.